How do you feel about condiments, yes I asked about condiments? Maybe it's a weird question to ask, but I am obsessed with them...ketchup, spicy mayo, honey mustard and now GoAvo! I am always seeking an alternative for mayonnaise because I love chicken, egg and tuna salad- I think we can all agree that if we don't have to use it, we probably shouldn't!! Well when it comes to being good for you - GoAvo is the way to go! It's soy free, non-GMO, no artificial ingredients & all around better when compared to mayo! 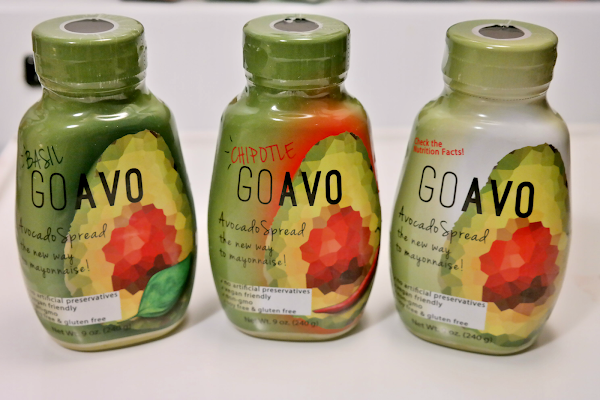 Each bottle contains 90% avocado - so you know that toast you're eating in the morning with avocado and a few red pepper flakes - you could totally use GoAvo as well! When Gary was in college he loved making tuna sandwiches, but used English muffins so that he could easily eat them on his way to class- so studious! I decided to take his old favorite and make it healthier by using GoAvo. //mix the tuna with choice of spread - I used Chipotle & Basil //Layer on top of the English muffin with tomato & choice of cheese on top - I used American //Pop in the toaster oven until cheese has melted //ENJOY! I served ours with a side of sweet potato fries & carrots. But what about the taste?! It's not overpowering or potent in smell - it's the perfect amount of flavor & to be quite honest I didn't feel like I was missing anything by using this in place of mayo. I've already added it to my breakfast burrito & added the spread to an otherwise bland sandwich! There are 9 recipes to try on their website and I've got my eyes set on chicken salad next - I usually use plain greek yogurt in place of mayo - so I'm excited for a different flavor! I realize that this product is not sold everywhere, yet, but I'm really interested in knowing what you use in place of mayo - if you're making a recipe that calls for it. Thank you to GoAvo for kindly sponsoring this post. All opinions are 100% honest & completely my own. This is awesome! I'm always looking for ways to make meals healthier, and this looks amazing! I wish it was sold where we live! This sounds delicious! It needs to come to the Midwest! I have to admit, I am a mayo fan, although I do like the "healthier" version that had olive oil. Sounds tasty to me!! I always use light mayo and just a smidge. In fact we has tuna salad the other night and all it took was a tablespoon. We just have gotten used to less but I really like the flavor options and enhancement with this!! Yum! I wonder if this is sold in Canada. I really want to try it! This sounds delicious!! I am loving avocado and agree that if you can replace mayo you should, especially if it tastes good and is better for you! Hope they start making this available everywhere :)! 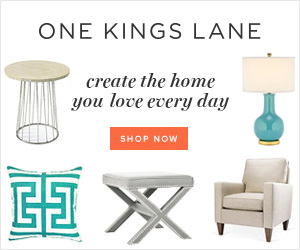 Wow, what a cool product! This would be so good in wraps and sandwiches! I need to see if I can find this in Virginia! I have, probably what most consider, an unhealthy obsession with avocados haha If I'm making a sandwich to eat at home, I sometimes mix an avocado with Greek yogurt. Sounds like it is super similar to this! And what a great replacement for mayo! I LOVE avocados sooooo much so this looks absolutely delicious to me! I'm always looking for a good way to spice up a wrap! Thanks for sharing!! I've heard of this and was curious! Glad to know it tastes so good! I'll be keeping my eye out for this when it makes it's way to Indiana. On another note, I LOVE those sweet potato fries and eat them on the regular!! Ooooh I need to get my hands on this!! Condiments are my favorite! I am with you there. This sounds so delicious! I have no doubt that this will catch on and that I will be able to get it in Georgia soon! This looks amazingly delicious! Sounds very interesting. What is the shelf life on that bad boy? I have to see if my Whole Foods carries it down here. Condiments are necessary! I get that from my Dad, he puts something on everything!! These sound interesting though. Did you like one better than the other?? YUM, I just tried an avocado for the first time a few months ago (I used to be a very picky eater and it takes me time to work up the courage to try things sometimes) and really loved it, but I haven't used it in anything yet. I've just eaten them on their own with a little salt and pepper. I can imagine this would be delicious on a sandwich, yum! I may have to give this a try! I used to not love avocado but now I can't seem to get enough! I love condiments. I'd totally try this. How cool is that!!! I don't like mayo so I usually avoid all recipes with mayo. Lol. This sounds like the perfect and healthy alternative for a condiment! I eat enough Avocado as it is! I would totally be addicted to this stuff! Yum this sounds amazing! I use any excuse that I can to eat avocados! Seriously, Biana, you're my go-to girl. You're always introducing me to something new! This sounds amazing, I'll have to tell my mom to pick some up for me, since they're sold in a few stores in Brooklyn. Thanks so much for sharing, beautiful, and I hope you're having a wonderful start to your day so far! I love a good tuna melt, will have to try this! Wait this looks so good! I need to buy some! I can't wait for them to expand, I would totally carry this in my lunch bag to work! I brought an avocado to work yesterday and it's messy and it actually wasn't too good. I hate how hard it is to tell if they are ripe or too ripe. This looks delicious! I seriously love mayo, so it's nice to know that there's a healthier alternative out there. Omgosh now I want this!! So up my alley!! Come to Illinois GoAvo!!!! Avocados are my #1 food and actually, a lot of the time I use an really ripe one to make tuna salad! The best combo! Love this post, girl! OH.MY.GOSH! I need this to come to my store NOW!!!! I hate mayo so I've been looking for a really great substitute! I use pesto for a lot of stuff but it's fat content is wayy too high! I'll see if I can find it at my supermarket! When you asked if we love condiments I literally laughed out loud because I always tell people I'm a condiment lover and everyone always laughs at me! This product looks great! I love that it's non-GMO and vegan. Im bummed it's not in Ca but hopefully they'll grow and come out west! I am so jealous of you right now that you get to buy this! I want some! I usually use Greek yogurt in lieu of mayo, but it gets a little mealy. That tuna melt on the English muffin sounds divine! I'm with you on loving condiments. Give me all the sauces! (When I go for sushi I ask for spicy mayo, eel sauce, and Sriracha! They must love me for the extra work. haha) Anyways I'm definitely going to try this because I love avocados and it sounds like a delicious replacement for mayo. Derek loves tuna sandwiches, I'll have to make this for him! 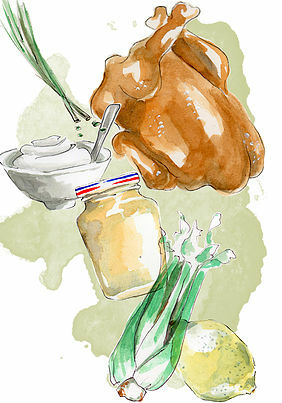 I seriously love condiments - dips, sauces, toppings - it makes the sandwich or meal so much better! I'm definitely going to look for this the next time we're visiting his family in NJ! Oh, yum!!! I would LOVE this to make it's way to stores in Ohio! I love avocado and definitely enjoy it on toast as a filling breakfast sometimes! This sounds like a good alternative to some other condiments!! I love hearing stories about people who leave their careers to pursue their passions - probably why I enjoy Shark Tank so much. Thanks for sharing. Dang, I wish I could get my hands on this! I'm condiment crazy... I'm one of those people who ask for extra everything, and I LOVE avocado so I would go crazy over this! Avocado spread sounds so yummy! The chipotle and basil looks super delicious! GoAvo sounds so good! One of our favorite leftovers during the holidays is turkey salad, and this would be the perfect substitution for the mayo we usually use! Loving how this wouldn't turn brown like "homemade" avocado spread! Oooh I need to try this! I love avocado, but I have the worst luck picking out good ones! Honestly this stuff sounds like the perfect solution for when I can't find any good avocados in the grocery store or farmers market. Probably stays fresh way longer than a whole avocado too. Thanks for sharing! This is a genius substitute for mayo! I can't wait to pick some up! This is awesome! I am absolutely obsessed with condiments…like, all of them and go to Chickfila and ask for 4 different sauces. My husband gets so embarrassed!! I hope this comes to SC! This looks so yummy! I just started liking avocado so I need to try this! What a fun find! I have to go to King's to see if they have it since I had to check their NJ locations immediately!! Avocado is my fave and this looks so good! I hope they start selling out here soon! this is brilliant! i love avo, but not gonna lie, i am super lazy and i hate buying fresh produce because we never use it all! so i like the idea of having something i could keep in the fridge and use bit by bit, if that makes sense. hope they start selling it here soon! KC hates mayo so we use avo for a lot of things (when we actually use it) like i shred chicken, mash some chickpeas and then throw in an avo, and you've basically got chicken salad or whatever. delicious! I LOVE avocados and this spread looks amazing! Thanks for sharing! In the South, we know there is NO substitute for mayo - it's just a must! That said, I love it so much I should find a healthier alternative. I haven't heard of this stuff before but I should check it out. My cholesterol will thank me, haha! Looks like a yummy spread and fun change of pace to mayo! I love avocado too!! Will have to give it a try! Thank you for sharing! I'm a huge fan of avocados (and guac) so I'm positve this would be right up my alley. Sounds delish!! The amount of avocados I consume in just a week is something miraculous! haha I would LOVE this stuff! I'm a total condiment nut! Wish they sold it in Ohio! YUM, this looks and sounds delicious! I loved tuna and avocado in college and even now. Though I really do prefer my avocado fresh, this sounds really yummy!! This is amazing!! Definitely going to try it!! These sound so tasty- I need to pick 'em up! What a cool product! I love avocado, but don't use it that much since it turns brown so fast! I would definitely purchase this if/when it comes to Indiana! I love avocado and I love tuna salad. I know for a fact I would love GoAvo. Thanks for introducing me to this. It sounds delish! It is been a while since I started to eat healthy food. I did replace almost everything with healthy non fat products, but I will love a regular mayo. I love tuna salad so I will try it with avocado cream. I'm the weird person that likes everything plain-- other than some occasional ketchup, but my husband would probably love this stuff!